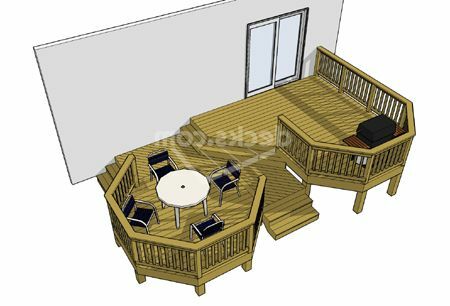 This interesting 2 level deck uses a central walkway and an angled stair to connect 2 distinct octagonal deck areas. 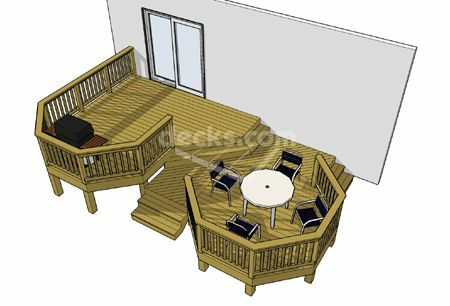 A graceful entrance to your home this deck is versatile and attractive. 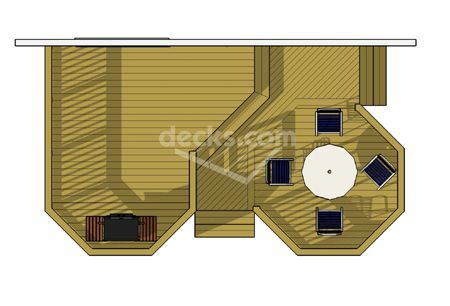 This design attaches 21' along the house wall.